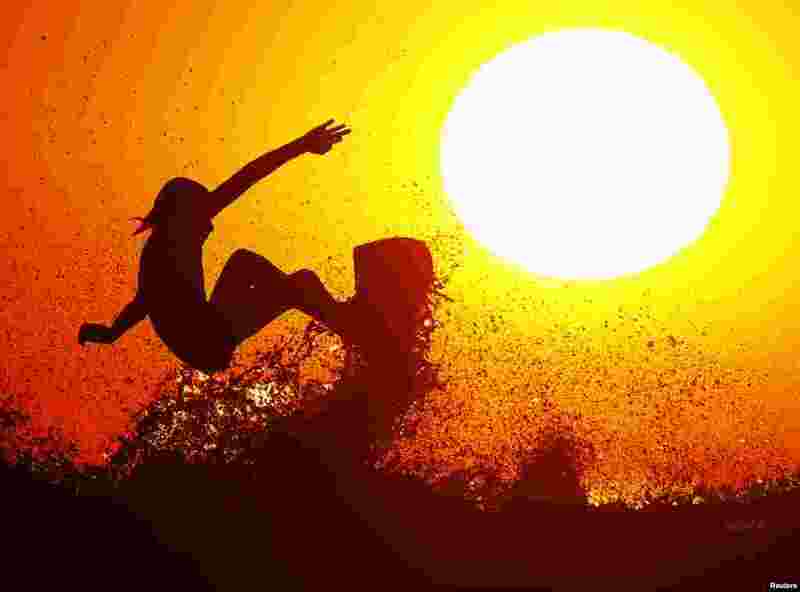 1 Surfer Cole Clisby rides his surfboard off the top of a wave as the sun sets off the shores of Leucadia, California, Jan. 15, 2014. 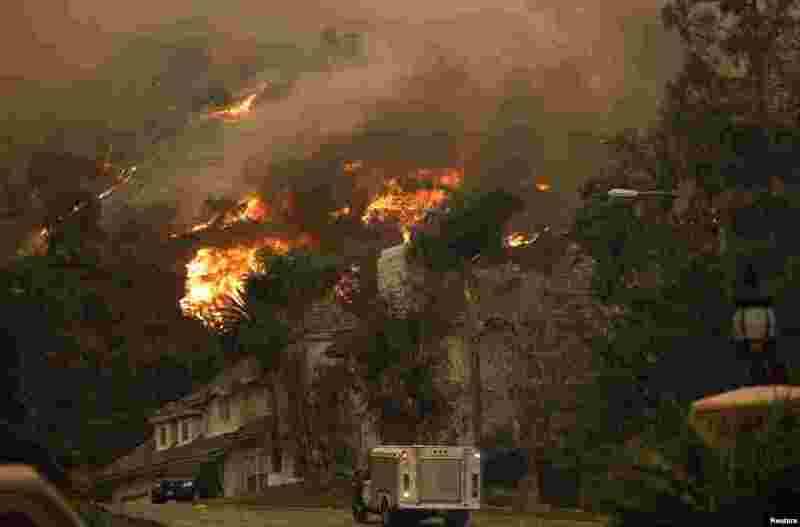 2 The Colby fire, which has so far scorched 125 acres, burns in the hills above Glendora, California. 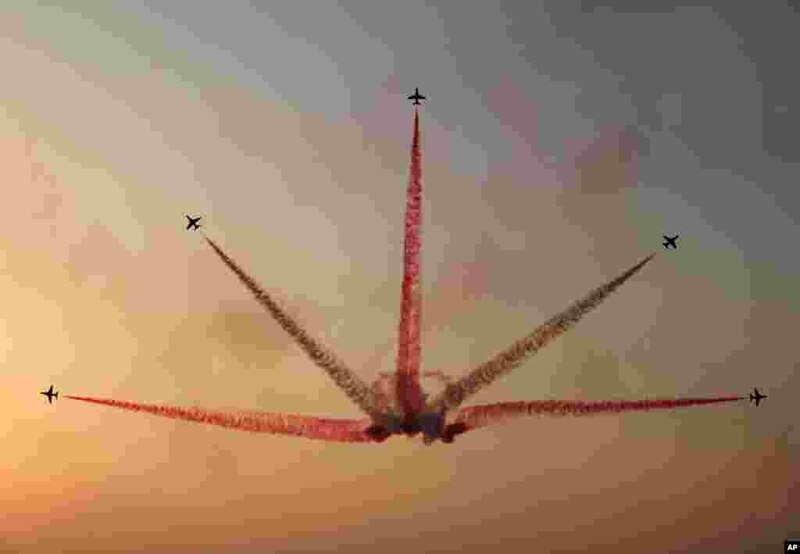 3 The Saudi Hawks Display Team performs at the Bahrain International Airshow in Sakhir, Bahrain. 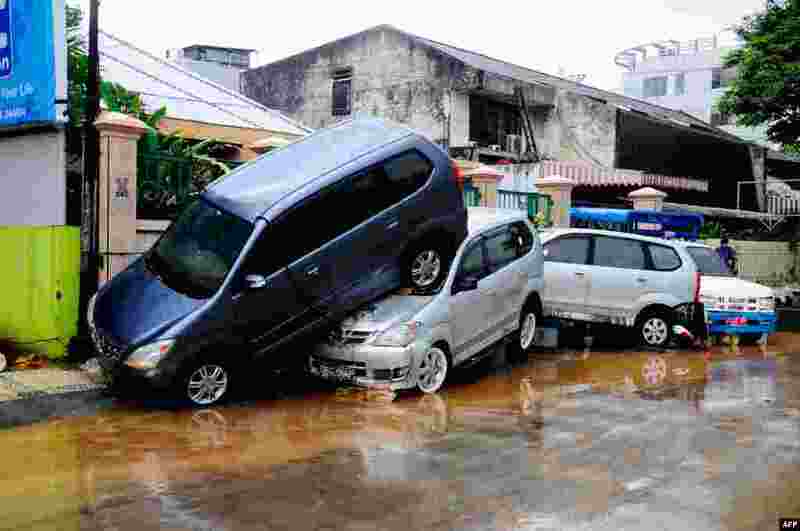 4 Cars are seen on top of each other after being hit by flood waters in Manado. At least 13 people were killed after overnight flash floods and landslides hit Indonesia's Sulawesi island, an official said.